A few days ago, I said the administration of Godwin Obaseki is an offshoot of the political legacies of Comrade Adams Oshiomhole in Edo State. This was on my whatsapp chat platform as Edo APC Publicity Secretary. One of the contributors had accused me of promoting Oshiomhole as a Godfather. This treatise is an attempt to explain and rationalise Oshiomhole’s place in the contemporary history of Edo State and the role of party politics in shaping that history. Comrade Adams Aliu Oshiomhole was elected to the office of the Governor of Edo State in April 2007 but did not assume office until November 2008 after a long-drawn legal tussle that ousted Prof. Oserheimen Osunbor. With a background in radical labour unionism, he hit the ground running on assumption of office. He was like a man in a hurry. He came into office against the backdrop of the previous administration of PDP led by Chief Lucky Igbinedion. It is a generally held view by the average man in Edo state that the eight odd years of PDP was a disaster and a dismal failure. The infrastructural framework collapsed. Roads were not motorable even when they could be accessed. Hospitals became consulting centers. School teachers in some instances taught under open skies. Salaries for public officers were unpaid and state-owned investments were looted and stripped of their assets. In the words of a prominent political figure in Edo state, the PDP GOVERNMENT MADE TEN PERCENT a pass mark in governance. This meant that any modicum of effort at delivering on the responsibilities and obligations of government thereafter, was a major departure from what people had become used to in Edo State. They had come to expect little or nothing from their government. On assumption of office, Oshiomhole immediately embarked on urban rejuvenation with massive road repairs and expansion. Inner city roads that were hitherto in a deplorable state took on a new look. Hospitals were refurbished and restocked, the moribund intercity and intracity transport agencies were revived and a fleet of the now famous green “comrade buses” plied the length and breadth of Edo state. Salary arrears were appreciably paid up. He undertook youth employment and empowerment, and he raised the minimum wage of public sector workers. Dilapidated schools all over Edo State sprang back to life and “red roofs” dotted the landscape. He renovated the Samuel Ogbemudia Stadium and initiated the Okpekpe Road Race to put Edo State back on the global map. Oshiomhole galvanised and strengthened the party machinery to enable them reap support at the grassroots. Everyone began to see himself as a stakeholder in the political process. In the words of Oshiomhole, “let the people lead.” The people saw the government as theirs and Oshiomhole was the arrowhead and the rallying point. The landmark achievements of Oshiomhole were so outstanding that he himself became a brand. Such was his phenomenal successes and charisma that in the elections of 2011, the key campaign slogan of the Action Congress of Nigeria (ACN) was that a vote for any of the candidates was a vote for Oshiomhole. This was a measure of the level of trust that he had garnered from the electorate. The candidates did not need to canvass votes, they simply keyed into the Oshiomhole brand. It was such a sure bet that some aspirants in the opposition party jumped ship and decamped to ACN just to win their elections, only to hijack the mandate back to the opposition party once they were elected. This was the phenomenon that was Comrade Adams Oshiomhole. Support for him was like a mass movement. It was the same thing in the elections of 2015. So massive and widespread was his acceptance by party leadership and at the grassroots. His leadership was not coerced or imposed. It was a voluntary subscription by all and sundry. This is not in consonance with the concept of Godfatherism. It would be easy to say this wave of general acceptance of Oshiomhole was what Godwin Obaseki rode on to electoral victory in 2016. However, anyone that knows Obaseki would readily attest to his sterling qualities as a manager of human and material resources. He listens, consults, and works with a team but in the final analysis, he is his own man and his decisions are his own. Oshiomhole himself described Godwin Obaseki as the best man to take over his job as Governor. This is the linkage, the connection and the reason for saying Obaseki’s government is an offshoot of the Oshiomhole years. Both administrations are APC government with Oshiomhole and Obaseki as the pointmen, the flag bearers. It does not make one a godfather just as it does not make the other one a lackey. Their relationship is based on mutual respect that has been built up over a period of eight years that Obaseki served as head of the economic team in the Oshiomhole administration; a role that is acknowledged far and wide as having been pivotal to the huge successes of Adams Oshiomhole in office. In the face of the ever-dwindling resources from the Federation Account, the government of Edo State remained solvent and met its financial obligations due to the competence of Godwin Obaseki as an investment consultant and fiscal manager. It is in recognition of these skills and expertise that Oshiomhole went all out during the campaigns to sell the Obaseki ticket to the electorate, convinced that Obaseki and no one else could carry on with the legacy of development and advancement to which the people of Edo State had become accustomed to. This in my opinion does not make Comrade Adams Aliu Oshiomhole, the immediate past Governor of Edo State a Godfather in the concept of a puppet-master. 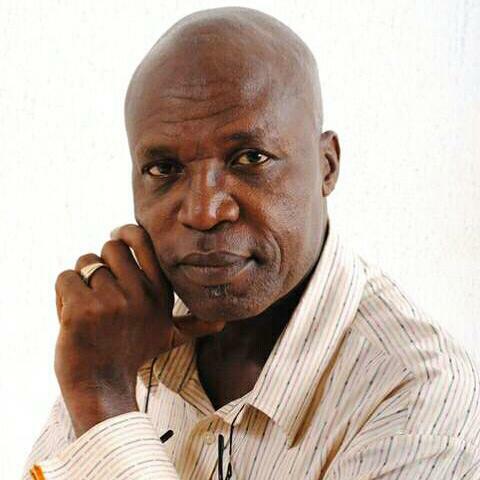 Azebamwan is the Edo State Publicity Secretary of the APC.